The purpose is to start this project in May 2014 in the village of Kizibere. First 3 pig-stables will be build tot hen buy 50 pigs close to the piglet-bearing age. 5 persons will be employed. 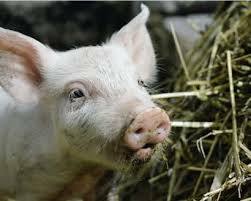 I will myself take care of the coordination of the project and the care for the pigs. After finalizing my secondary studies, specialising in veterinarian, I had the idea to grow pigs. As I noticed that in my environment nobody was running a good quality pig farm, I decided to start one myself to improve the live circumstances for my family and relatives. It will be an improvement for my family and will allow us to help others and convince them to start similar projects. Vleugels van Hoop vzw will support the project with a donation of € 2.500. Evaluation and review at the end of 2014. There are some risks in this project but as I’m veterinarian, I’ll be responsible for the good care and treatment of the pigs. On December 5th the board of Vleugels van Hoop vzw has visited the project, in Kizibere, Rwanda. The pig stables are fully completed, big, airy and with lots of light coming in. 8 pigs, 7 females and 1 male, have been ordered and will be delivered on December 25th. All funds were fully consumed as planned. Gratien mentions a shortage on funds, especially linked to labor costs and it was made clear that he needs to address this to the project beneficiaries, to help in the pig farm and make it profitable. In case of a further shortage of monetary funds the project needs to start with fewer pigs to further extend in the future.